I have come to a conclusion: there just isn’t enough information about designers on the Internet. As always, when searching Mr. Zanotti’s name, I come across only the fabulous celebrities who sport his luxurious heels. 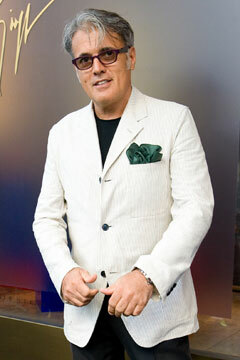 In this case, I don’t care about them, I care about the man behind it all, Giuseppe Zanotti. Let’s get down to this little known, “A list” designer. The handsome Giuseppe is from a small village in Italy called San Mauro Pascoli. After first working as an apprentice for international shoe designers, he began his own shoe making career in 1985 as a freelancer for footwear and clothing companies. 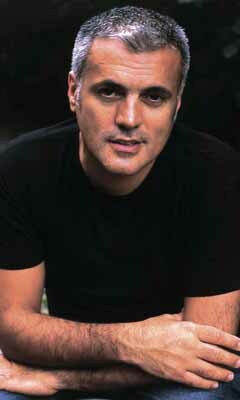 After 10 years, in 1995 he began his very own line, by purchasing Vinici ( a shoe factory) in 1996. Him and his wife worked to cultivate Vinici, which is centered around style, research, and creativity. Maybe the reason why there is so little information on Giuseppe is because this self proclaimed shy guy designs for other “A list” labels that bask in the glory of his successful shoe designs. Fashion houses such as Roberto Cavalli, Vera Wang, DSquared and others, just to name a few. 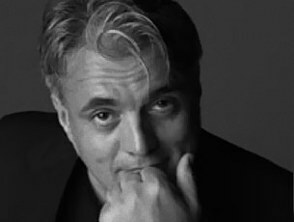 However, another reason is because Zanotti insists on only producing his shoes in Italy and not cutting corners by going to China. He invests in the growth of the Italian shoe market because he believes there is talent to be noticed there. He even helped establish a footwear school called Cercal that teaches students all facets of the shoe trade. He then employs them, with the average age of his 340 employees in 2006 being 35. Giuseppe’s dedication to the shoe world in Italy is reflected in his dedication to making high quality shoes. While designing shoes he keeps in mind a woman 18-60 years old who desires nice things and desires to look good for herself. Zanotti handles each detail of the shoe making process with delicacy and care. Each shoe is hand crafted with a file on hand explaining the details of the shoe making process and the materials used in order to assess a fair price ( one that might make you do a double take when checking the bottom of the shoe to verify that, that mark in the price is indeed a comma and not a decimal point ). Contrary to what we might believe, Giuseppe is interested in things other than shoes. For instance watches, he owns just about 60 watches… 45 of which he claims are expensive and the other 15-20 that are horrible. He also showed an early passion for music, owning more than 6,000 albums! In an interview, he even compared making shoes to music, saying each piece of a shoe is like a note and when they come together they either make something beautiful or something horrible. I’m am sure he was not referring to his shoes as that something horrible. Celebrities and models all over the world show silent appreciation about their Giuseppe shoes. These socialites wear his masterpieces in public, but he does not get the same publicity as his competitors like Jimmy Choo and Christian Louboutin ( maybe because Oprah hasn’t publicly shown her appreciation to him as she has done for the other two). Giuseppe’s success is no surprise to me because designers that take the time to tend to the details of their creations always reap the benefits of their relentless work ethic. How else would he distinguish himself? 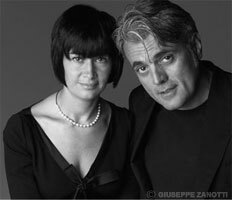 Well, another reason he can distinguish himself is because he has a live in muse, his wife Cinzia. After raving to the review journal that his wife has the most interesting closet , it comes as no surprise the appeal of Giuseppe’s seductive creations. She is gorgeous and stylish and with a member of Giuseppe’s target audience by his side at all times, he is able to get trustworthy and immediate feedback. After reading about this star designer, I can’t understand why he doesn’t get a lot of attention. He has fabulous goals and has made a name for himself. He doesn’t just speak about charitable work, or lend his thousands or millions of dollars in the hopes of getting publicity, but he actually participates in events with charities like Meals on Wheels and his own “charitable cause” of helping students in Italy that are interested in footwear design. Giuseppe Zanotti is not to be looked over. 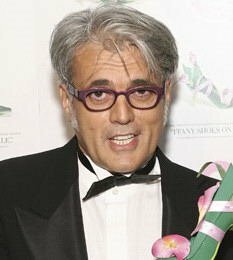 This owner and operator of 3 lines, Giuseppe Zanotti Designers, Vicini, and Tapeet, with receive the publicity he deserves one day. 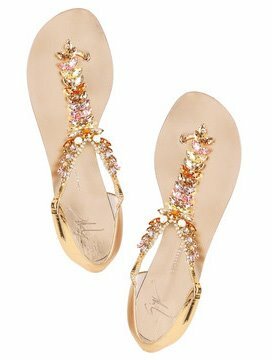 Honestly, who can resist his bejeweled sandal, he even said himself to vogue UK that the easiest, sexiest and most perfect shoes is a flat sandal with a bit of sparkle. 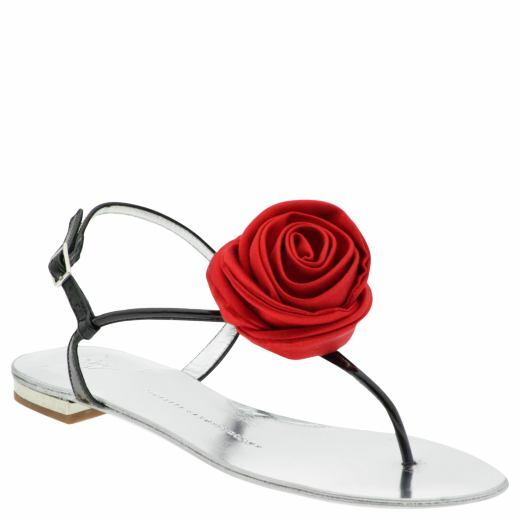 This under-the-radar fabulous designer of women’s footwear is a fabulous feature for my blog. He is exactly what I mean when the celebrities get all the attention and not the designers. So Giuseppe here is your opportunity to shine. Wake up everyone and smell that Giuseppe’s.